RORATE CÆLI: Guest article — The Council’s Constitution on the Liturgy: Reform or revolution? It’s a pleasure for me to make a contribution at the presentation of the German translation of Prof. Kwasniewski’s book Resurgent in the Midst of Crisis: Sacred Liturgy, the Traditional Latin Mass, and Renewal in the Church. I have read the German translation and can heartily recommend it—even though I can’t agree with one hundred percent of it, especially with the optimistic assessment of Pope Benedict’s actions concerning liturgy. What strikes me is that it is among the most pointed criticisms of the Novus Ordo Missae that I have read outside of the FSSPX. It appears now to have really become generally known that the missal of Paul VI is a disaster for the Church. Highly relevant in this regard is the strong criticism made by Cardinal Sarah at the liturgical conference in Herzogenrath. Regrettably I could not incorporate in my remarks his presentation, which was read in absentia. The present pontificate underlines the character of this disaster. Pope Francis pushes the spirit of the so-called liturgical reform to the limit. The papal celebration, already extremely diminished, is impoverished and bored. The genuflection at the consecration is absent. Some are even whispering of a coming ecumenical pseudo-Mass, which at this moment is being planned behind the scenes. That wouldn’t surprise me at all. It’s clear that among many faithful Catholics discontent is growing regarding the “renewed” liturgy, the liturgical abuses (which are systematic), and the current pontificate. Discontent is also growing over the justifications that one always hears: “The pope intends this or that—and not what he says. You have to interpret it this or that way.” And so on and so forth. The same is true for the liturgy. There we’ve heard the same justifications for many years—and they become ever more forced and far-fetched. No, the “liturgical reform” is a disaster. Its fruits are now really evident for everyone. Therefore, we have to thank the organizers of this afternoon’s conference. Especially we must thank Prof. Kwasniewski, who has rendered outstanding services in the treatment of liturgical themes. 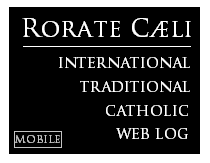 His contributions at Rorate Caeli are a guide to spreading liturgical knowledge and liturgical sense. His book, which I like very much, is a milestone in the activity of Prof. Kwasniewski. And, as is so often the case, it’s the laity who, in questions of the Faith and of the liturgy, embody and assert the sensus fidei. The fundamental message of my presentation is this: Sacrosanctum Concilium—the Constitution on the Sacred Liturgy (hereafter “SC”)—is not a reform but a revolution. It initiated a permanent revolution. It doesn’t return the rite of the Mass—which may have lost its shape or required improvements—to the correct form, which after all is the meaning of reformare. It rather laid the foundation for wide-ranging changes. But in so doing, the revolutionary impetus of the conciliar document is clothed in traditional, if verbose, language and is thus hard to recognize at first glance. It’s the product of a conspiracy that strove to undermine the faith of the Church. The same holds true for the other documents of Vatican II, as Karl Rahner and Herbert Vorgrimler (Kleines Konzilskompendium) openly admitted. Six or seven years ago a certain sentence in SC caught my eye as I was preparing a lecture. This sentence is discrete and short, but it contains revolutionary potential. It’s a signal, like a code word or password for a secret operation. This sentence is in the section dealing with the Divine Office, paragraph 89(d): The hour of Prime is to be suppressed. 1. If one can delete Prime, one can delete anything else. And many further deletions have been made. 2. The Church doesn’t abolish rites that have been sanctified by old customs of prayer. The Liturgical Movement of the 20th century, otherwise not at all unified, also never intended this. As an introduction I’d like to describe a symbolic experience of mine. It fits our topic well and even supplies an interpretive key to understanding the theme of todays’ conference. Six years ago, I participated in a Mass in the Capuchin church of Vienna on a Friday at four in the afternoon. It was the usual Novus Ordo Mass of the Capuchins. Around the time of the Preface I noticed two vendors of a leftist street newspaper (which is designed to be sold by unemployed people), who were trying to sell their products in the usual aggressive manner. Please note: this is during the Mass. The two men—obviously Gypsies—knelt down during the consecration, and then continued their business. I objected to their demands and forced one of the two back to the entrance. He grew very unfriendly and apparently cursed me (in a language I could not identify). This event shows how little the sacred actions are still respected. All the same, both gypsies waited until the end of the consecration before resuming their business. Nevertheless, it is a crude lack of respect towards Christ, Whose sacrifice is made present again in the Mass. Why do we have this lack of respect? In it there is an internal logic. The Church Herself has stripped respect from the mystery of the Eucharist. The new missal itself provides for many fewer demonstrations of respect compared to the Traditional Mass. Even without liturgical excesses that occupy a canonical gray zone (like communion in the hand, extraordinary ministers of the Eucharist, bored youthful altar girls and older ladies as pseudo-priests), the Novus Ordo itself is to some degree desacralizing. Then there are often social emphases in the Masses: Migrant Sunday, Catholic Charities Sunday, etc. Whether bands of Balkan panhandlers have analyzed it in this manner isn’t the point. They know that they can disturb a Mass attended by Austrians without any consequences. Nobody will seriously confront them—let alone engage in a physical struggle. Most in the congregation are too old, too cowardly, or too weak to put up a fight. Perhaps disturbing the Croatian Mass in the “Am Hof” church or the Ukrainian Byzantine Mass in St Barbara would entail more noticeable consequences for the perpetrators. Incidentally, disturbances of services by leftist radicals and abortion activists have become quite common. We also hear that at Ottakring (16th district, Vienna) the church is locked from inside during Mass—otherwise young Muslims would disturb it. Back to the above experience: I asked the brother sacristan whether newspaper vendors often push their wares during Mass. He said yes—and that, despite warnings, they come again and again. After this experience I went, angry and agitated, to an appointment for dinner with a priest. I told him about what I had just seen. We became engrossed in the topic of the liturgy. However, I didn’t emerge from my state of astonishment. For he, a member of a Catholic organization of fraternities of students and university graduates, told me of an event at one of their member fraternities. A high-ranking freemason had been invited. According to the priest, the guest stated at the event that the liturgical reform was “their” (the freemasons’) work. I was amazed that this member of a secret society had said this so openly—and that the priest passed it on so matter-of-factly. “The liturgical reform is our work.” That still reverberates in my hearing. Of course, I already couldn’t help but suspect this. 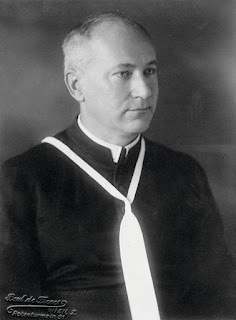 It’s often been said that the architect of the Novus Ordo, Annibale Bugnini, had been transferred as pro nuncio to Teheran because his membership in the lodge had been accidently discovered. But it is at minimum still noteworthy that a freemason would claim the liturgical reform for his organization in front of a fraternity of Catholic students and university graduates. 1. If one can delete the hour of Prime, one can delete anything else. I insist very strongly on this point, for it appears to me symbolic and symptomatic for the document SC and for the whole Council. An ancient custom of prayer is simply suppressed, without any explanation. That makes the situation all the more astonishing. What is the justification for this? It appears that a time bomb was being inserted here. A crevice in the wall was broken open. For if one can delete Prime, why not Terce or Sext, or Lauds or Matins (which indeed de facto has taken place, since Matins as it existed is gone and its replacement is called the Office of Readings)? Or delete the double Confiteor, the Offertory prayers, the Last Gospel, or anything else? And, as we see, all this has in fact happened. To be honest, I knew of the existence of Prime only from reading. 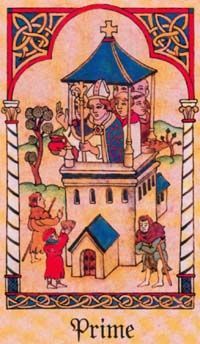 The English convert, priest, and author Robert Hugh Benson—by the way, a favorite of Prof. Kwasniewski’s—in his novel Lord of the World has a group of men be martyred who had been discovered by the police praying the hour of Prime. I personally first experienced Prime during a visit with the Benedictines of Norcia, who, as is well known, once again interpret and live the Rule of St. Benedict in a manner as true to the original as possible. To dispose of this ancient customary prayer can only be viewed as a sacrilege. We know now through the research of Fr. Brian Harrison, O.S., that no kind of revolutionary desires in relation to the Mass existed among the world’s Latin-rite episcopacy on the eve of the Council. In regard to the breviary I can’t say anything—probably analogous conclusions can be made. Analysis of the submissions of the bishops to the secretariat for the preparation of the Council shows that the only thing desired was more readings in the national languages. There is nothing about the invention of a new Canon of the Mass (let alone three new Canons [Eucharistic Prayers]); nothing about the deletion of the Offertory prayers, no desire for a “people’s altar,” communion in the hand, or altar girls. Yet all these deformations of the Mass arrived shortly after the Council. In my understanding, the elimination of Prime without any commentary is a symbol of revolution and opened the door for many other disastrous actions. Now to our second point. 2. The Church does not eliminate any rites sanctified by ancient prayerful custom. The Liturgical Movement of the 20th century, even though not at all uniform, never intended this. In his legendary lecture at the theological summer academy of the Linz Priests’ Circle (which is a private initiative of diocesan priests) held in Aigen in 1997, Robert Spaemann, perhaps the preeminent Catholic or even German philosopher of the present, cited Cardinal John Henry Newman, who once said in a sermon for the feast of the Circumcision of the Lord that the Church never abolishes customary prayers sanctified through long use. It is always a sacrilege and severe damage for the faith to abolish an old custom of prayer. Even after Pentecost, the Christians still went to the temple and prayed there and took part in the services of the temple. They did this until the temple was destroyed or until they were driven out of Jerusalem by the Jews. It is always a sacrilege and severely damaging to the Faith when an ancient, sanctified custom of prayer is abolished. 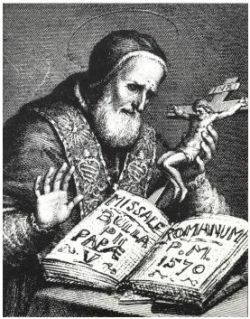 Pope St. Pius V, whose Tridentine reform of the missal was anything but revolutionary, declared that from thenceforward all rites in the Latin church were prohibited except those that were more than 200 years old. Pius V knew the limits of papal power. So, if it is possible to abolish Prime without any further justification, it is possible to abolish or remodel (which often amounts to the same thing) anything else. Neither Romano Guardini nor Odo Casel, O.S.B., nor Pius Parsch, Can. Reg., had destructive or revolutionary plans, according to Petrus Tschinkel, Can. Reg., in an interview with Dr. Rupert Klötzl. Odo Casel was criticized in an FSSPX statement on the liturgy and linked to destructive tendencies. Let me turn to a review by me of this declaration of the FSSPX. Reading today texts by or about Odo Casel, one has the impression that this monk was pious, faithful, reverent and, by today’s standards, “ultra conservative”. It’s not believable that the present liturgical chaos would have been accepted by Odo Casel, let alone intended by him. But as can be read elsewhere, Casel was, as an intuitive thinker, somewhat alien to discursive thought. That could regrettably also mean that he did not sufficiently explain his views. Intuitive thinkers are oftentimes given to a euphoric vocabulary and can be apodictic. A certain lack of sobriety often appears, and obstinacy as well. My knowledge is insufficient to judge whether this was indeed the case with Casel. But based on what I know, I can reject the insinuation that Odo Casel acted in bad faith. In his entire life and bearing, in his dealings with his fellow men and in his death during the Easter liturgy, he openly displayed his strong faith and exemplary character. It’s clear that intermediary steps were required for the catastrophes of the 1969 liturgical reform—authors and agitators who wanted to go off in a different direction. Odo Casel, after all, had died in 1948. He could therefore no longer halt those who may have used his ideas. The same can be said for Romano Guardini, Pius Parsch, and all the others who are considered part of the Liturgical Movement. For example, after reading Guardini’s The Spirit of the Roman Liturgy, one can’t imagine that he would have approved today’s liturgical mischief. Therefore, one shouldn’t do any of these men an injustice. Now to Austria. Thanks to Dr. Rupert Klötzl, an interview with Reverend Petrus Tschinkel of Klosterneuburg, a student of Pius Parsch, has been preserved. This needs to be particularly emphasized, since Parsch is considered in Austria to be the most important member of the Liturgical Movement. What we read here is extremely surprising! So, let’s examine it more closely. For Tschinkel spoke very critically of the post-conciliar “liturgical reform.” It was, according to him, not a “reform” but a “change.” According to Tschinkel, the basic concerns of Pius Parsch were sound. His concerns were not just the “transmission of biblical texts,” but the drawing of the believer into the mystery. Now I can tell you that Pius Parsch would not at all have agreed with the changes of the post-conciliar era. That’s not what he wanted. Yes—(the liturgy) in the mother tongue. That is all, however. But also, the Mass as mystery, as a reality hic et nunc, here and now. And the wonderful pericopes should be chosen as images of the mystery that takes place. That was his concern. That’s very interesting. For if he still is known at all to a broader group among the faithful, he is counted as a “progressive.” Indeed, one must clearly reflect on the direction towards which one wants to progress! After the Second Vatican Council these liturgical forms are nothing but idling: only text after text. Not a trace of internal disposition nor of mystery. Guardini, if the name means something to you, is a person I very much revere. Many years ago, when Guardini was still alive, I had a visitor in St. Gertrude from Munich. He wanted to study about St. Gertrude. I asked him—it was right after the Council—if he knew what Romano Guardini thought about the new texts. He answered that, yes, he could tell me, for he often met with him. When (Guardini) got the new texts, he looked at them for a long time and then said to me: “Plumbers’ work”! It [the Novus Ordo Missae] is after all just barely not, I might say, yet classifiable as heresy. If you wanted to be absolutely nasty, you could even call it heretical. In times like ours, these are absolutely surprising utterances. But they are not surprising if one looks at the architect of the change of the liturgy: Archbishop Annibale Bugnini, C.M. Was he the informant of the freemason I mentioned above—the one invited by the Catholic fraternity? Naturally, I can’t say that. But here’s the difficulty: Bugnini explicitly designated the transformation of the Mass of 1969/70 as transitory. So, there were going to be further revolutionary steps! His transfer to Teheran was after all linked to the chance discovery of his Masonic membership card. And that makes both the liturgical reform of 1969/70 and the Council underhanded enterprises. According to his own confession they were intermediate steps. What the end form will be is not disclosed. One author is of the view that this method of proceeding made the Council and the reform of the Mass an “occult” project. Occult in the sense that it is not the wording of the relevant decrees that is determinative, but their hidden meaning. That’s why the half-life of the Novus Ordo is so short. It continues to disintegrate. Right now, we are experiencing the complete collapse of the liturgy. Pope Francis has, like John XXIII before him, changed the Canons [Eucharistic prayers] specifically by the addition of St. Joseph. In his own Masses he has abolished genuflection and does not distribute communion. He makes of the washing of the feet on Holy Thursday a show with a politically correct message and in his sermons interprets the Scriptures against the sense of the words. Is this supported by the Council? Does SC stand behind all of this madness? In a certain sense, yes. 23. Finally, there must be no innovations unless the good of the Church genuinely and certainly requires them…..
To conclude the second point: the abolition of ancient rites—symbolized by the abolition of Prime in the conciliar text itself without any discussion—has proved to be disaster and a severe damage to the faith. No protagonist of the Liturgical Movement could have imagined what is happening now. Also, to the best of my knowledge none of them actually intended such as thing. To be sure, one has to surmise that the subversive elements at the time of the Liturgical Movement had been inserted into the Curia for a long time. The conspiracy had long been underway. It conducted itself discreetly, however, in order not to be noticed immediately. 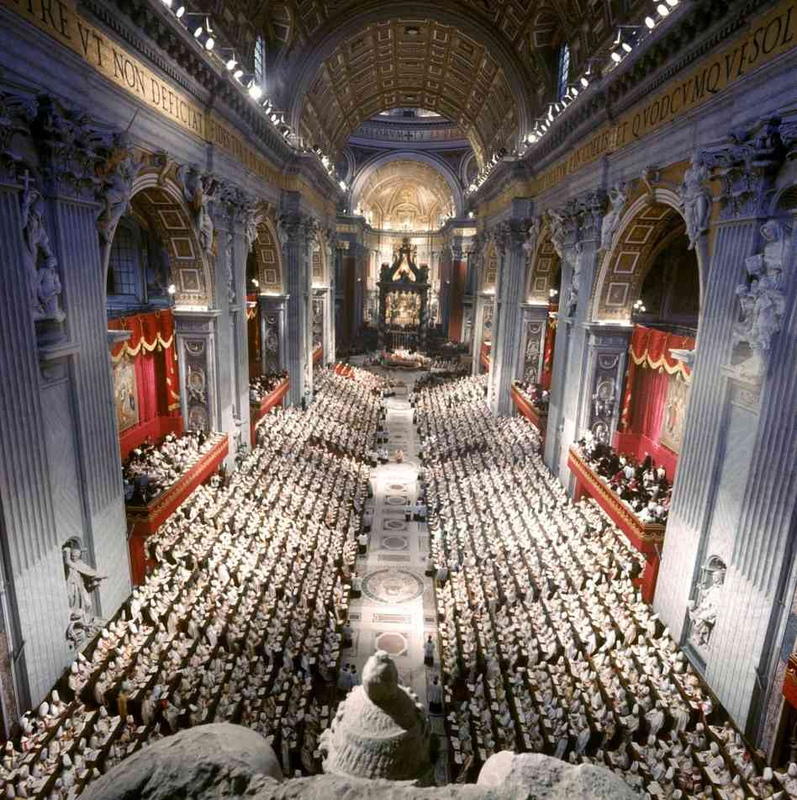 The change in the Canon of the Mass under John XXIII should be viewed from this perspective. The pope apparently wanted to demonstrate that the Church could alter the most sacred part of the liturgy. In other words, it was a pious deception. 3. A “Reform of the Reform” is worthless. The missal and breviary should return to the ancient uses, with the question of what version remaining open. I’d like now to come to my conclusion. I noted that Prof. Kwasniewski’s attitude regarding the actions of Pope Benedict XVI is somewhat more optimistic than what in my opinion can be sustained. For with the failure of Pope Benedict and his extremely dubious resignation, two watchwords of the pope have also failed: namely, the hermeneutic of continuity and the Reform of the Reform. The driving forces behind the Council were, according to their own statements, clearly uninterested in continuity with tradition. Their protagonists have spoken clearly in this regard (cf. Ralph Wiltgen, S.V.D., The Rhine Flows into the Tiber). It’s senseless now some fifty years after the Council to still try to split hairs and square the circle. Roberto de Mattei in 2011 already demanded that the Council texts must be tested against tradition (in his book Apologia della Tradizione). I would add: a decision must then be taken as to what remains and what must go. Pope Benedict was too hesitant here; he remained trapped in a mentality that couldn’t remedy the deviations. The same holds true for the “Reform of the Reform.” This phrase was used by Klaus Gamber and Cardinal Ratzinger—I don’t know who was first. In the slogan “Reform of the Reform,” moreover, the second “reform” is understood to be the revolution of Paul VI, the first “reform” the restoration of what has gotten out of form, what is degenerate. The word “reform,” therefore, means two different, nay, contradictory, things. As this slogan contains a confusing equivocation, it is problematic anyway. Prof. Kwasniewski also gives us to understand that it’s useless to “reform back” the Mass of Pope Paul VI and in so doing waste so much time and energy. As one can see from the failure of Benedict XVI, it also doesn’t work. The bishops sabotaged it—especially, in the case of the German-speaking world, the first 2006 directive to translate correctly the words of institution over the chalice. After all, there is chaos worldwide regarding the words of institution. Other corrections, like returning to the old Offertory prayers and transferring the “sign of peace” to the Offertory, remained in the planning stages [only]. Summorum Pontificum, too, remained in some respects half-hearted. The minor orders and the subdiaconate were not restored, yet under outside pressure the Good Friday intercession for the Jews was changed. I therefore think, in company with most traditional Catholics, that it’s best to start again from the point at which the liturgical reform began to stray from the path, namely, the ill-advised and clumsy revision of Holy Week under Pius XII. Thus, taking up the last edition of the Missal prior to 1955, but allowing for the celebration of any universal or local feasts subsequently introduced, would give us a ‘clean slate’ on the basis of which to proceed with confidence that we are gratefully receiving and vigilantly guarding the liturgical heritage of our forefathers. After all it concerns God—and the salvation and eternal happiness of man. One can’t mess around with it. For: Lex dubia non obligat [a doubtful law is not binding]. Every magisterial obfuscation of what occurs in the liturgy produces confusion. Unclear requirements have no binding authority: lex dubia non obligat. The confused situation can’t, for example, make those who are willing to convert interested in the Catholic faith. If the Church itself fools around with the dogmatic clarity of the sacraments, a catechist can explain the Catholic doctrine only with much greater efforts. This endangers the salvation of souls. It detracts from the reverence owed to God. That has to stop. In a few weeks will be the hundredth anniversary of the first appearance of Our Lady at Fatima [May 13, 2017]. The apocalyptic condition of the Church and the world demonstrates that the remedies given in Fatima—the Rosary, reparation, First Saturdays, the consecration of Russia—have not been appropriately employed. The sacred liturgy is in a catastrophic condition. The usual parish Mass is hardly recognizable any more as a liturgy. The religious orders have also experienced a steep decline in their liturgy. The promises of Fatima still stand, but so do the warnings and threats as well. Pope Benedict XVI said in 2010 in Fatima that whoever thinks the prophetic message of Fatima has ended errs greatly. 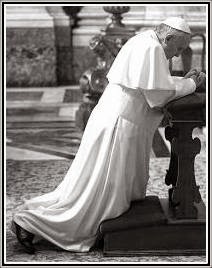 We can here only appeal to him to disclose the entire truth about Fatima and move the reigning pope to a dramatic implementation of the directives of Our Lady. Then, the chaos of the liturgy would almost solve itself. If not, all of us will bear the consequences. Thank you!